Google’s very own Pixel phones are officially here. Although the Nexus phones were from Google as well, these are not manufactured in partnership with other smartphone companies like before. It’s coming from Google directly with its own apps, services and integration. However, whether it’s good compared to the other flagship smartphones is a completely different story. Here, we will discuss just that and also find out the Google Pixel Dubai price. The phone will be available in two different sizes and the Google Pixel is the smaller one with a 5.0-inch screen showing 1920 x 1080 pixels resolution. 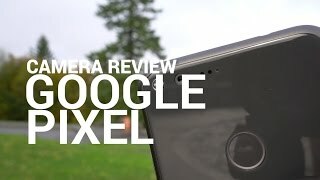 Most of the latest smartphones nowadays are not really showing anything unique when it comes to design but Google Pixel is slightly different. The back side offers a mix of glass-aluminum body that gives the phone a good grip. 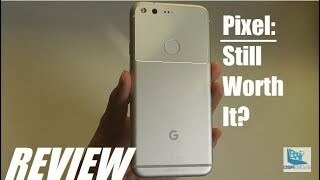 There is a fingerprint scanner on the back that can give users access to their notifications quickly or unlock the phone with Pixel Imprint. It will be running Android OS 7.1 Nougat right when you pick up the phone and will also the built-in Google Assistant. It’s the first phone to include this feature. If you are after a big phone, there is the Google Pixel XL or Motorola Moto X Style you can try without waiting for the Google Pixel release date UAE. 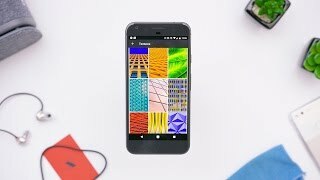 None of the previous Google Nexus phones were really popular because of its camera but things are about to change with the Google Pixel. 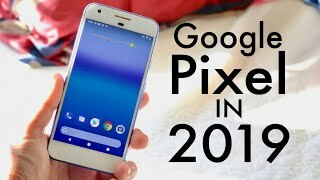 The Google Pixel packs a 12-megapixel camera on the back with laser autofocus and phase detection while the front camera is an 8-megapixel one. This camera received 89 score from DxOMark which is the highest received by any phone so far. Google will also offer 24/7 built-in live support for its users via chat or phone. If you are interested to check out some of the other popular smartphones with good cameras which are in the same pricing range as the Google Pixel Dubai price, there is the iPhone 7 Plus or Samsung Galaxy S7 Edge. While most of the latest flagship devices are packing Qualcomm Snapdragon 820 processor, this one is packing a Quad-core Qualcomm Snapdragon 821 processor paired with 4GB of RAM. There are two different storage options to choose from: 32GB and 128GB. One of the disappointing part of this phone is its battery. Its only 2770mAh in size which doesn’t sound good enough considering the specs inside. However, you do get fast charging. Other notable features are: dust and water resistance, USB Type-C connector and fast battery charging. There are three interesting colors to choose from if you are eager to wait for the Google Pixel release date UAE: Really Blue, Quite Black and Very Silver. This is where the latest smartphone from Google is really different from the Nexus devices. The Nexus smartphones were mid-range phones but the Google Pixel and Pixel XL are high-end phones with an expensive price tag. It will be available for about AED 2500 when it’s here. The Google Pixel release date UAE is expected sometimes after October 20, 2016. Google has been releasing its own branded phones in partnership with third-party manufacturers since 2010 under its “Nexus” series. However, the company decided to change things this year and going for a new series titled as “Pixel”. 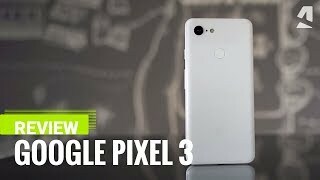 There were rumors about Google working on two new phones and now we have some more details that can give us an idea about one of the phones which is the Google Pixel. Let’s take a look at the Google Pixel Dubai price first before we get to more details. It’s expected to cost about 2200 to AED 2600 . Now let’s see if it will be a good idea to wait for the Google Pixel release date UAE or not. There is not much to look forward to design-wise. From what we have seen in the leaked images, it will be a plain looking phone featuring 5-inch screen showing 1920 x 1080 pixel resolution. The back side includes two-tone design featuring glass and metal frame which doesn't look too attractive in the leaked images but we have to wait for the official announcement to get real images. Just like the Google Nexus 6P and LG Google Nexus 5X, there will be a fingerprint scanner on the back of the phone. The headphone jack will be top mounted which means you don’t have to worry about Google going Apple iPhone 7 or iPhone 7 Plus and losing your headphone jack. Other than these, we don’t know much about the design which means we have to wait for the Google Pixel release date UAE to learn more. Most of the flagships released in 2016 packs the Qualcomm Snapdragon 820 processor and the Google Pixel is no different. The phone will be packing this quad-core 64bit processor clocked at 2.0GHz and it will be paired with 4GB of RAM which means you can expect a smooth Android Nougat 7.0 operating system experience. We have seen some change in UI from the leaked images but we will be able to get a better idea once the phone is officially here. It’s expected to pack Google’s new conversational AI helper. 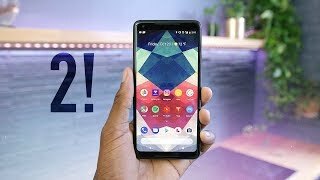 Google branded smartphones are popular for its smooth Android experience and exclusive Android features so it will be interesting to see what the phone has to offer. If you are not looking for an expensive phone which falls in the similar price range as the Google Pixel Dubai price, there is the Asus Zenfone 3 and Xiaomi Redmi Note 3 Pro. Battery life can be a deal breaker when it comes to smartphones and the upcoming Google Pixel is expected to be packing a 2770mAh battery. 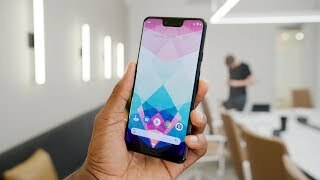 As most of the phones are aiming for minimum 3000mAh, it doesn’t sound promising. The phone will also include 12 or 13-megapixel rear camera and an 8-megapixel selfie camera. 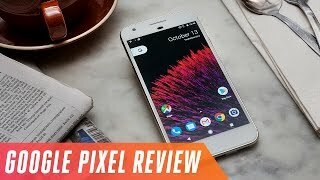 If you are still interested to get this phone after learning about the Google Pixel Dubai price, it should be here sometimes in October, 2016.
REVIEW: Google Pixel in 2019 - Still Worth It?